Last week, after months of rumors and speculation, Disney finally confirmed that Indiana Jones 5 is happening, with the studio setting a July 19, 2019 release date for this long-awaited follow-up. 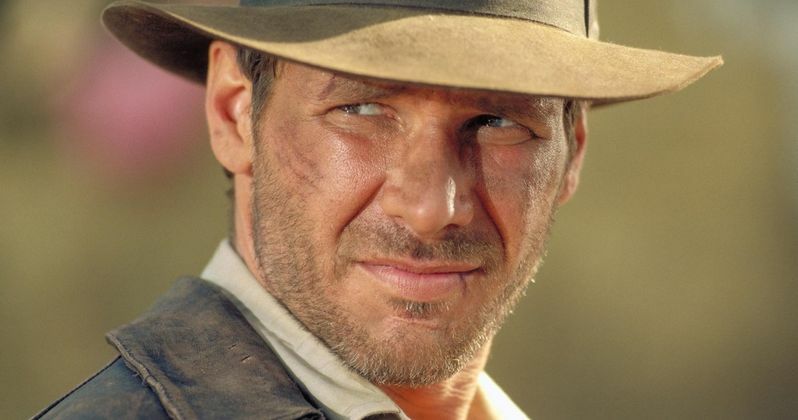 Harrison Ford has been set to come back as Indiana Jones, with Steven Spielberg set to direct from a script by David Koepp, who co-wrote the franchise's last installment, 2008's Indiana Jones and the Kingdom of the Crystal Skull. During an interview with BBC, Harrison Ford revealed that he always wanted to make another movie, but he wouldn't do it without Steven Spielberg at the helm. "I've always thought there was an opportunity to do another. But I didn't want to do it without Steven [Spielberg]. And I didn't want to do it without a really good script. And happily we're working on both. Steven is developing a script now that I think we're going to be very happy with." Disney acquired the rights to the Indiana Jones franchise back in December 2013, and ever since then, there have been no shortage of rumors about this project. Actors such as Bradley Cooper, Robert Pattinson and Chris Pratt were rumored to take over the franchise over the past few years, but nothing was ever confirmed about the project until just last week. LucasFilm President Kathleen Kennedy is producing alongside Frank Marshall, but it isn't known when production may begin. Harrison Ford has been doing press lately for the Blu-ray and DVD release of Star Wars: The Force Awakens on April 5, appearing on Jimmy Kimmel Live! earlier this week where he expressed his excitement about playing Indy once again. Unfortunately, the actor hasn't revealed anything about the plot thus far, and it isn't known how far along Steven Spielberg and David Koepp are in developing the script. With more than three years left to wait until this famed archaeologist hits the big screen once again, the wait will surely be worth it. Famed archaeologist and explorer Indiana Jones was introduced in 1981's Raiders of the Lost Ark - one of AFI's 100 Greatest American Films of All Time. He later thrilled audiences in 1984's Indiana Jones & the Temple of Doom, 1989's Indiana Jones & the Last Crusade, and 2008's Indiana Jones and the Kingdom of the Crystal Skull. The four films have brought in nearly $2 billion at the global box office. We'll be sure to keep you posted with more on Indiana Jones 5, so stay tuned for more updates.